Ford introduced the Mercury Brand back in 1938 and over the years it had a variety of standout models. In the late 60's the Cougar was offered as a slightly-upscale competitor to the Mustang. In the 1970's Mercury began importing the German-built Capri, sales of which were only surpassed by the VW bug. In the years that followed, most of Ford's line of cars and minivans were also offered, with upgraded trim, under the Mercury badge. 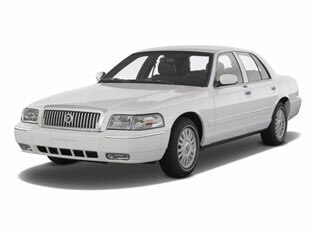 The company's flagship car was the Grand Marquis, a redo of Ford's Crown Victoria. Production and sales of all models ceased in 2010. Here at A1 Transmission Service Center, we've been rebuilding Mercury transmissions for decades. Whether you're driving a classic Capri, a luxurious Grand Marquis or aanything in between, we know what's under the hood. Experience is essential to a great rebuild and we have all the tools needed to get the job done right and bring your Mercury's transmission back to like-new operation. No matter which Mercury you drive, bring your transmission challenge to us. We'll diagnose the problem and get it fixed at a price you'll like a lot!